How would you feel if the stethoscope used by your doctor to listen to your heart and lungs was teeming with potentially unfriendly bacteria? You know the drill. A stethoscope is one of the first medical devices anyone encounters, at any age during a doctor's appointment. The scope rests lightly on your back or your chest, with or without clothing, depending on the circumstances. A new study in the American Journal of Infection Control asks the question, "Can education influence stethoscope hygiene?" The short and quite dirty answer is, "no." The stethoscope is a wonderful tool invented by René Théophile Hyacinthe Laënnec. Before Laënnec pioneered the idea of using acoustics to allow him to better hear the inner workings in the chest of his patients, doctors had to place their head on the chest of their patients, a practice Laënnec was quoted as saying was "disgusting." As the story goes, Laënnec was inspired by seeing children playing with a wooden beam, tapping nails into one end to transmit sound to listeners on the other end. Or — perhaps Laënnec, an accomplished musician on the flute, put wood and wind together and came up with the stethoscope. Stethoscopes are now an invaluable medical device, and like all medical devices, need to be sanitized properly to avoid spreading infectious disease. In 2014, in a study from Mayo Clinic, scientists looked at the contamination levels of stethoscopes and the hands of physicians who used them. Researchers swabbed four regions of the dominant hand of the doctor and two regions of the stethoscopes used during examinations of 83 patients at a Swiss teaching hospital. Following analysis, the scientists concluded a stethoscope is as contaminated as the dominant hand of a physician, even after examining only one patient. Further, the bacterial population of a stethoscope may include dangerous pathogens like methicillin-resistant Staphylococcus aureus (MRSA). Researchers wrote, "Our findings provide strong evidence of the potential for stethoscope-mediated transmission of microorganisms and the need to systematically disinfect stethoscopes after each use." Building on this research, scientists from Yale University and the Department of Veterans Affairs, conducted research at an academic teaching hospital to evaluate stethoscope and hand hygiene. Stethoscopes are used repeatedly throughout the day and become contaminated after each patient exposure, so they must be treated as potential vectors of transmission. Failing to disinfect stethoscopes could constitute a serious patient safety issue similar to ignoring hand hygiene. Following the initial observation, the research team offered education including a PowerPoint presentation, and resident, intern, and nursing staff briefings. 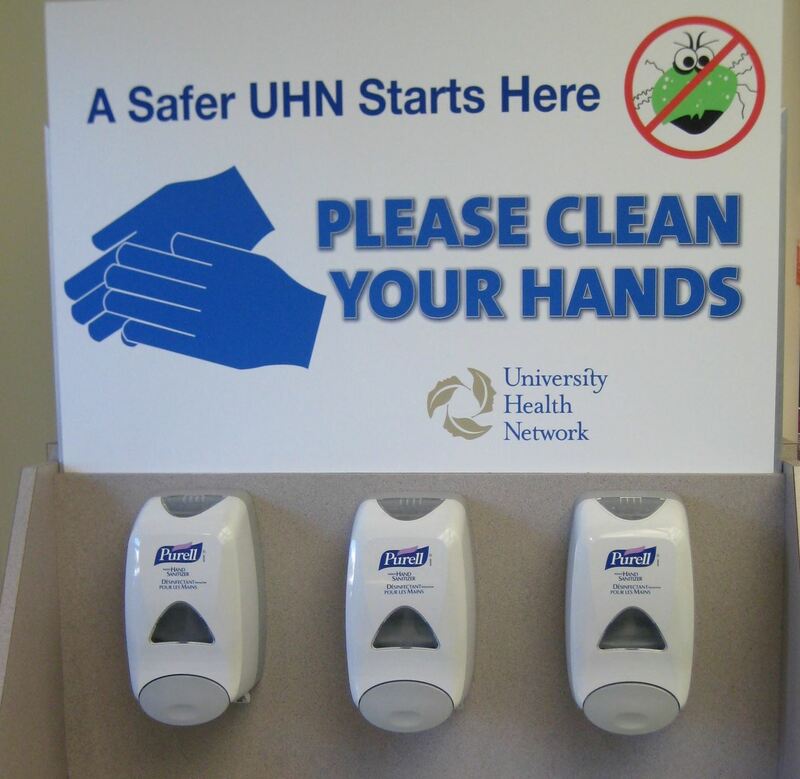 They stressed that hand sanitizer or alcohol swabs should be used to clean stethoscopes between uses. Educational resources like laminated flyers in workspaces, boxes of alcohol swabs, and hand sanitizer dispensers were plentifully available. Despite the educational reminder, "stethoscope hygiene never occurred during the 128 initial and 41 post-intervention observations." While researchers suggest steps to encourage healthcare providers to clean their stethoscopes between use, these studies show bad bugs could be hitching a ride on a stethoscope near you. In your doctor's office, you'll notice whether your physician washes their hands or wear gloves, so if a stethoscope is in use, you should ask your doctor to clean it, too — an alcohol wipe or hand sanitizer will do just fine. While you might feel uncomfortable, remember you are a consumer, and you have the right to reasonable safety precautions during a medical evaluation. As these studies show: If you don't watch out for the germs on that stethoscope — who will?